Not long ago I wrote that, “Change is in the Air.” Now it’s on the table. 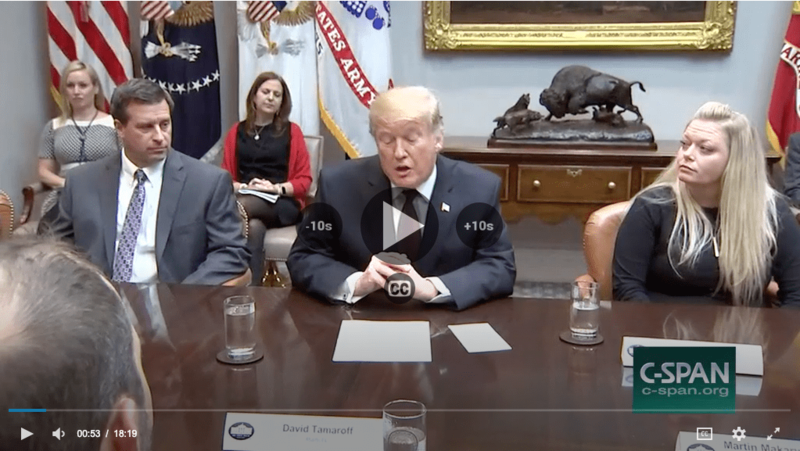 Earlier this week four Coloradoans (myself included) sat down with President Trump to discuss the issue of medical billing. Secretary of Health and Human Services Alex Azar and Secretary of Labor Alex Acosta joined the meeting as did other members of the White House staff. As reported by NPR, I can confirm that the President struck a very serious tone. I do not believe this meeting would have been convened if he was not serious about change. 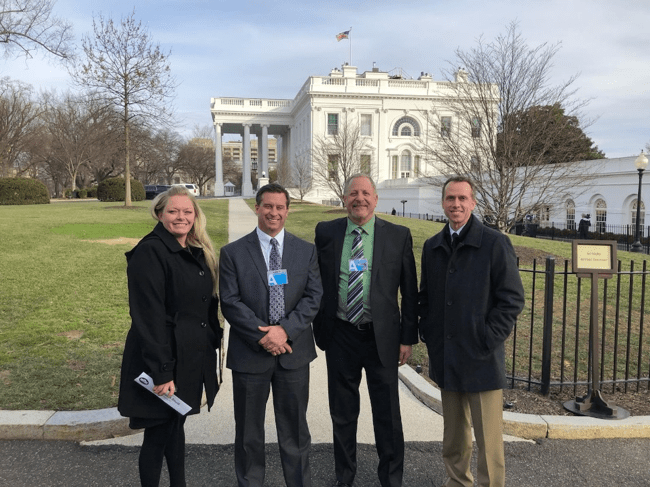 Below is a photo of Dave Altman, Jamesia Shutt and Mark Jay who were there with me. It’s notable that three Coloradoans were among the ten participants. I can only conclude it’s because of the efforts of Representatives Susan Beckman and Mike Foote (now Senator Foote) who fought hard for change in the Colorado state legislature as well as all of those in Colorado who attempted to follow their efforts with a citizen ballot measure. The bill and ballot, though they failed, have clearly gotten the attention of Washington. We said passing either the bill or ballot in Colorado would set an example for the rest of the country…well it seems we set that example even without having passed anything. It is my hope that we did not simply raise the Administration’s attention to the problem, but that our proposed solutions will somehow have an influence on whatever might be done next. Already there’s been change, starting with the banning of gag orders on pharmacists last summer, then on to recent efforts to rein in drug prices. On January 1st, a new rule went into effect requiring hospitals to publish their chargemaster. That was but one small component of Colorado’s solution. Of course, the healthcare industry is whining about what a useless measure that was, so it was great to hear Seema Verma, the CMS Administrator say that it was just the first step. And Elizabeth Rosenthal, author of the best seller “American Sickness,” did a very elegant job of explaining why publishing the chargemasters matter, even if it’s only one small step in the long journey to truly functional healthcare markets. Prior to the meeting, the President invited the press in to talk about the problem of egregious billing practices. It was disappointing that not a single question from the press actually had anything to do with healthcare. Instead, they merely asked the usual headline-grabbing questions as you can see in the title of the post on C-Span, the subject of which is based on mere seconds of an 18-minute impromptu press conference intended to be about healthcare. Colorado, we still have a lot of work to do, but I hope the progress being made on the national scene will assure you that 2018’s efforts were not in vain. I’d like to also remind everyone of what a tremendously bi-partisan effort healthcare reform can be. If you recall, we had tremendous bi-partisan buy-in to legislation before key special interests found a way to kill it last year (refer to my blogs on the BrokenHealthcare.org website for more on that). The ballot measure was endorsed by everyone from the Foundation for Universal Healthcare to the Libertarian Party. It doesn’t get any more bi tri-partisan than that. My hope is that the issue of healthcare price transparency becomes something that finally brings Democrats and Republicans together in Washington. We all know we could use an issue that everyone can rally around these days.